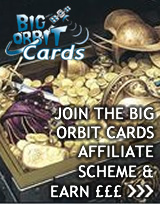 [D] Bad News: If the number of cards in your opponent's hand is at least 6, choose a number of cards there, without looking, until your opponent has 5 cards left. 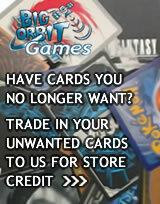 Have your opponent discard the cards you choose. [D][C] Prize Count: 20+ damage. If you have more Prize cards left than your opponent, this attack does 20 damage plus 20 more damage. 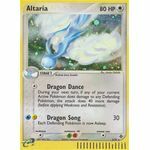 [C] EX Dragon Dance: During your next turn, if any of your current Active Pokemon does damage to any Defending Pokemon, this attack does 40 more damage (before applying Weakness and Resistance). 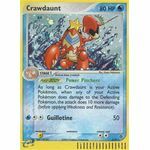 Poke-Body: Power Pinchers: As long as Crawdaunt is your Active Pokemon, when any of your Active Pokemon does damage to the Defending Pokemon, the attack does 10 more damage (before applying Weakness and Resistance). 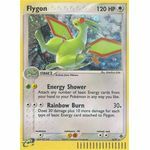 [G][L] Energy Shower: Attach any number of basic Energy cards from your hand to your Pokemon in any way you like. [C][C][C] Rainbow Burn: 30+ damage. Does 30 damage plus 10 more damage for each type of basic Energy card attached to Flygon. [F][C][C] Rock Vengeance: 20+ damage. 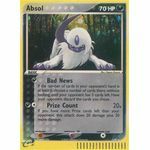 Does 20 damage plus 10 more damage for each damage counter on all of your Active Pokemon. [P][C] Psychic Boom: 20+ damage. 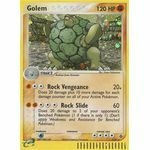 Does 20 damage plus 10 more damage for each Energy attached to the Defending Pokemon. [P][C][C] Mind Trip: 50 damage. 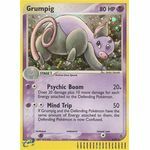 If Grumpig and the Defending Pokemon have the same amount of Energy attached to them, the Defending Pokemon is now Confused.